Tottenham will be looking to get back to winning ways when they take on Leicester City at the King Power Stadium on Tuesday night. Goalkeeper: Hugo Lloris is certain to retain his place between the sticks so Michel Vorm will once again offer back-up from the bench. Defence: Toby Alderweireld is still recovering from a hamstring injury and isn’t expected back in contention until after Christmas so Pochettino has a decision to make at the back. We could see Eric Dier play in a back three alongside Jan Vertonghen while Davinson Sanchez is expected to keep his place at the back as he’s been hugely impressive following his move from Ajax in the summer. 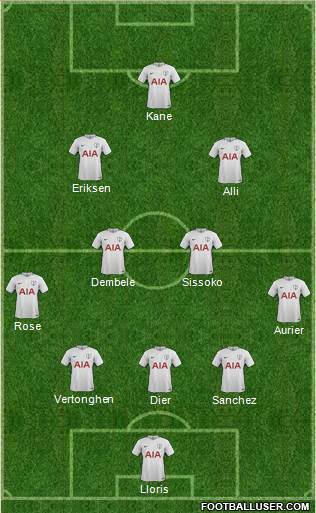 Danny Rose was left out of the squad against West Brom at the weekend but Pochettino is easing him back in to action following his lengthy injury absence so I think the England international will return on the left tomorrow. Ben Davies will make way while I wouldn’t be surprised to see Serge Aurier coming in for Kieran Tripper in the right wing-back position in order to freshen things up. Midfield: Pochettino has problems in midfield as Harry Winks is a doubt due to illness while Victor Wanyama remains unavailable due to a long-term knee injury. 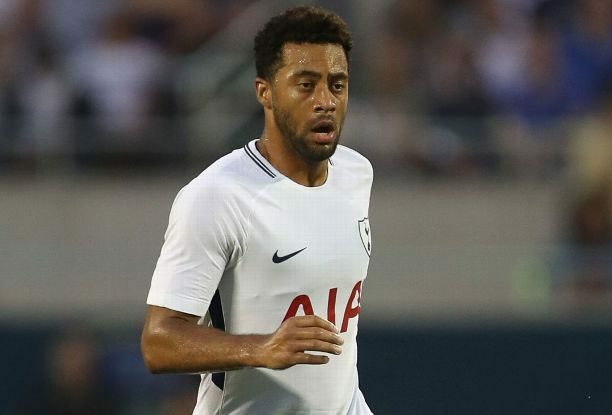 So with Dier likely to play in defence, Mousa Dembele should get a recall to the starting eleven tomorrow night while we could see Moussa Sissoko come in alongside the Belgian international. Attack: Christian Eriksen wasn’t at his best at the weekend but I don’t think Pochettino will be looking to rest him against Leicester as this is a must-win game for Spurs. Dele Alli was at fault for the West Brom goal on Saturday but the youngster should also retain his place in the starting eleven as he’ll continue to support Harry Kane in attack. The England hitman was on target again at the weekend so he’ll be hoping to continue his excellent form at the King Power. Erik Lamela is in contention to be named in the squad for the first time in 13 months after finally overcoming a hip injury but a place on the bench is the best he can hope for.